There are lots of changes to the way that you can open, share and export files. Let's start with what the file dialog boxes look like. A beautifully designed "dialog box" - it could hardly be easier to use. 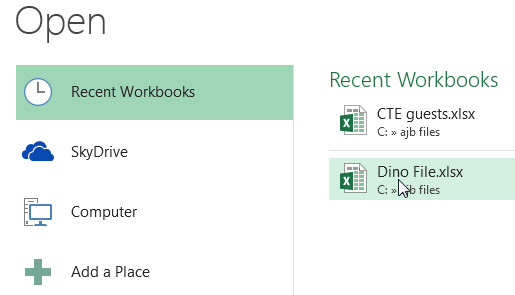 You can right-click on a file to pin it to the list of recent workbooks, or to remove it. You can click on Browse to find the folder you want, but I suspect that after a while you'll nearly always be able to choose it from your list of recently used locations. 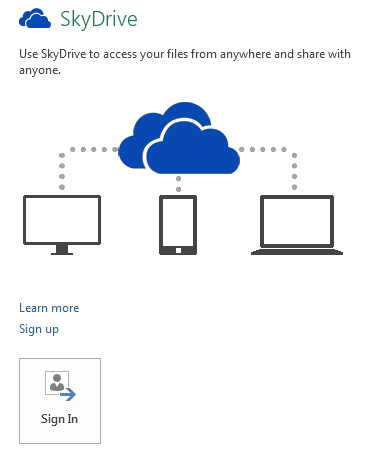 When you click on SkyDrive, this is what you first see. Here I've created 3 files. You can also use web-based cut-down versions of Excel, Word and PowerPoint to edit Office documents online. 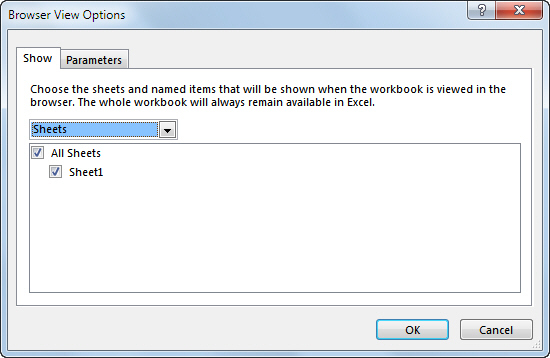 You can open any Excel workbook either into your desktop copy of Excel, or using the Excel web app. 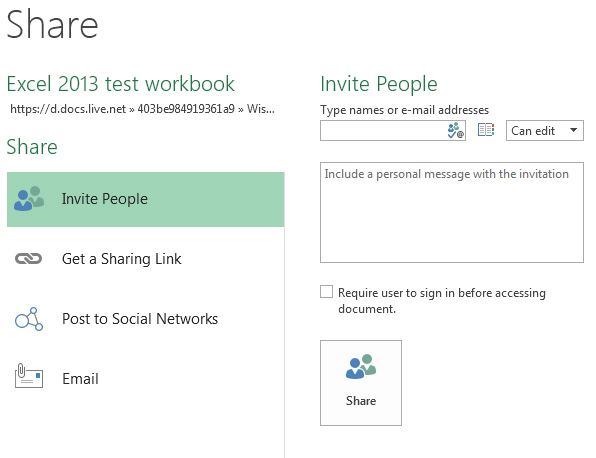 All in all, it's a seamless way to save files directly from MS Office into the cloud. I have to say I'm impressed with SkyDrive. It shows up as a normal folder in Windows Explorer, and you can choose exactly which files and folders to synchronise. For the first time I can see the benefit of cloud computing! 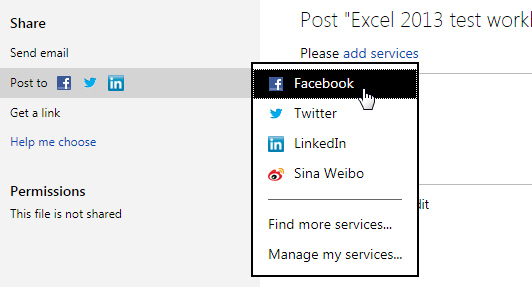 Four services are provided by default. I only mention this because you can also import a PDF document into Word and then save it as a Word document! Browser view options work in a similar way to the way protection works. I hope I've given an impression of how much work Microsoft have put into making working with files easy. They have invested a huge amount of time in SkyDrive! One last statistic: my SkyDrive folder shows up as having 25GB of space. That's a serious bit of cloud. Time now to look at changes made to working with data and pivot tables.